Riverside View is a stylishly refurbished, light and airy two bedroom ground floor apartment set in peaceful grounds with regular visists from ducks and pheasants from the river bank. It is only a short walk from the town centre, with allocated parking. There is a secure external entrance leading to the internal entrance door, with entry answer phone. The apartment is set in well maintained communal gardens. The front door leads to a bright hallway with large store cupboard with coat hooks and shoe storage. The kitchen is well equipped with new units and an excellent range of utensils and integrated equipment; a refrigerator with freezer compartment, washing machine with tumble drier, electric oven and hob, microwave, and dishwasher. There is a small bistro table and 2 chairs. The spacious and airy lounge/diner has a rear aspect with views across the communal gardens to the fells. It has comfortable seating (large sofa and two chairs), round oak dining table and chairs, TV, DVD, digital radio and an electric fire. Bedrooms consist of a double with oak wardrobe and a spacious twin bedroom. 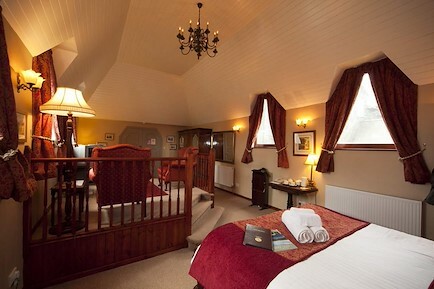 All beds have duvets and linen and hair dryer is provided. The fully tiled bathroom has a deep bath with mains shower over, toilet, wash hand basin and shaver point. Guests generally bring their own towels (provision can be arranged at time of booking). One dog is very welcome provided it is never left alone in the property. Your enquiry will be sent directly to Riverside View. Please fill in as much detail as you can.